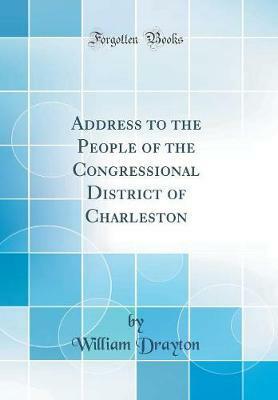 Excerpt from Address to the People of the Congressional District of Charleston The provisions of the tariff act of 1832, arc, _hy no means, such as I desired them to have been; but when they were under discus sion, before Congress, the problem for the solution of the members of that Body, was not, in ordinary circumstances, what a T arifi' act ought to be, nor in what manner it should be drawn, _soas to satisfy the manufactures of the North, or the agriculturists of the South - the exclusive friends of protection, em_ the one hand, or of free trade on the other;-but whether any middle course could be devised, which would reconcile conflicting prejudices and interests allay the fury raging in the bosoms of'the two great Tariff par ties into which the people were divided, and prevent that collision between them, which might, not only, disturb the harmony but en danger the existence of the Union. About the Publisher Forgotten Books publishes hundreds of thousands of rare and classic books. Find more at www.forgottenbooks.com This book is a reproduction of an important historical work. Forgotten Books uses state-of-the-art technology to digitally reconstruct the work, preserving the original format whilst repairing imperfections present in the aged copy. In rare cases, an imperfection in the original, such as a blemish or missing page, may be replicated in our edition. We do, however, repair the vast majority of imperfections successfully; any imperfections that remain are intentionally left to preserve the state of such historical works.